What can I expect when getting an open MRI with contrast? What is an MRI with contrast and what can you expect from the procedure? An MRI (Magnetic Resonance Imaging) scan examines soft tissues like muscles, organs, tendons and blood vessels in many parts of the body. This includes MRI scans of the spine, brain, abdomen, legs, arms and joints. MRI takes detailed images of the body and its internal structures in order to detect and help diagnose injuries or disorders. The open MRI scanner works by using a strong magnetic field, radio waves and a computer to capture the images. MRI scans are very safe and do not use any radiation. For about one-third of MRI scans, a contrast agent is used to enhance the clarity of the images of your body’s internal structures. A contrast agent is a liquid, containing gadolinium, which is given as an injection during the MRI scan. Why would I need a gadolinium contrast injection? Gadolinium helps improve the image quality of the tissues inside of your body. MRI contrast works by enhancing the visibility of molecules, making blood vessels, organs and sources of inflammation clearer in the images produced by the MRI. Comparing MRI imaging without contrast (above) and with contrast (below). This can help improve diagnostic accuracy in some conditions, such as inflammatory or infectious diseases of the spine, brain, soft tissues or bones. Some cancers and benign tumours are clearer when MRI contrast is used. If gadolinium is recommended, don’t worry. This does not indicate that something serious is wrong; it’s just a method of ensuring that the MRI scan produces a high-quality image to help your doctor effectively diagnose your symptoms. How do I know if my MRI scan will involve contrast? 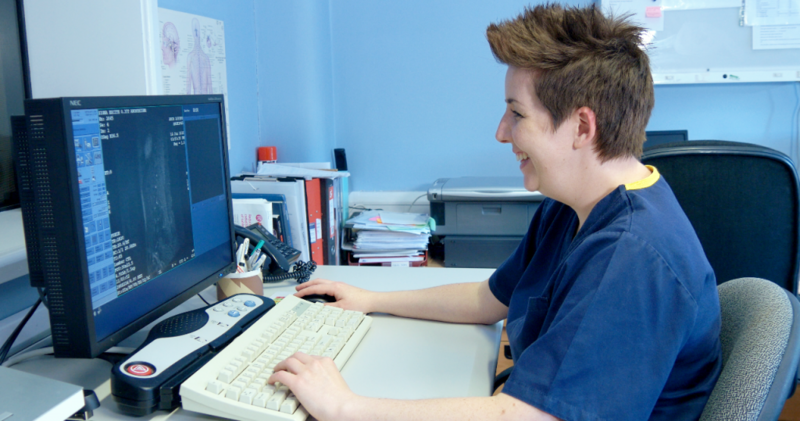 When your GP or consultant recommends an MRI, they will send us the referral for the procedure. We will contact you to arrange an appointment that is convenient for you and will provide you with details regarding the scan and whether or not contrast is required. What happens when I receive a gadolinium injection? You may eat and drink as normal before your scan, whether you have MRI contrast or not, unless having an examination that requires fasting prior to the scan. 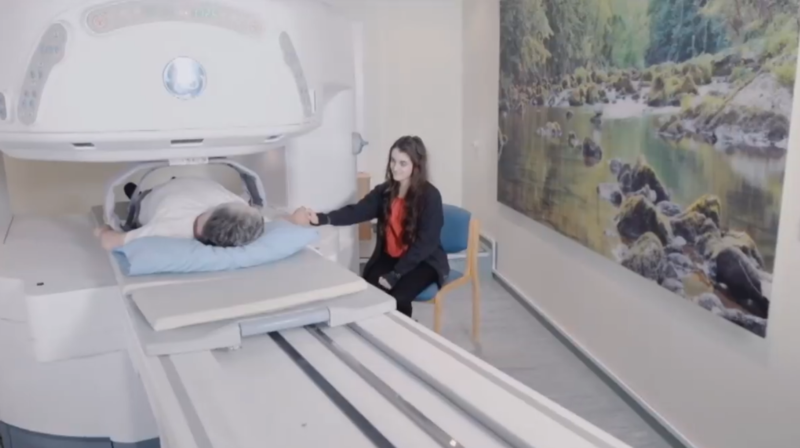 Before your MRI scan, the radiographer will ask you to lie down outside of the MRI scanner in order to administer the MRI contrast injection into your arm. You should try to lie as still as possible following the injection and during the MRI scan. We will also need to check your kidney function is okay, as the kidneys flush out the contrast agent. There are no restrictions or side effects following the injection, and the gadolinium will leave your body naturally, through your kidney, within around 24 hours. Learn more about receiving an open MRI scan. What does it feel like to have MRI contrast? Gadolinium is safe and you should not have any reaction to the injection. It’s possible that you could feel a slightly cold sensation in your arm following the injection, which some patients report, but is of no concern. MRI contrast agents do not contain iodine, unlike contrast agents used for x-rays, and very rarely cause allergic reactions or other problems. There are a few circumstances when a gadolinium injection is not recommended, for example, if you are pregnant, breast feeding or have a kidney disease. Newcastle Clinic’s open MRI scanner is more suitable for patients of all sizes and those who experience anxiety or claustrophobia. The scanner has no walls or enclosed tube, unlike a traditional scanner, and offers a space twice the size of a regular MRI scanner. Our staff are experienced with administering MRI contrast and will keep you informed about the process throughout your scan. 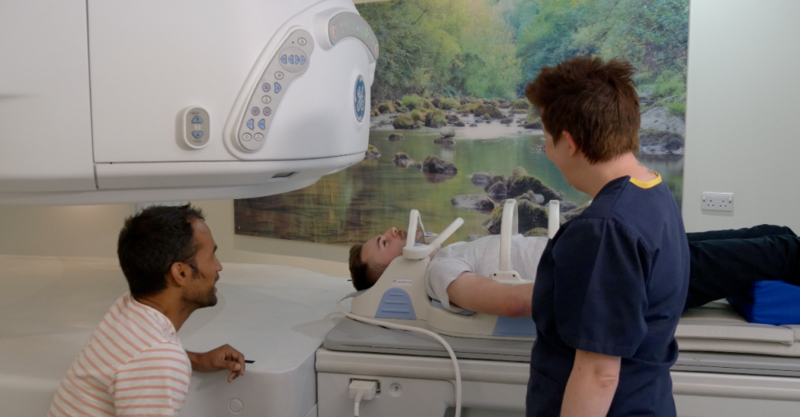 You’ll be in contact with the radiographer throughout the procedure, and can have a friend or family member with you to help distract you and keep you calm, providing they have no contradiction to going into the scan room. Newcastle Clinic can accept NHS referrals for patients who are claustrophobic or obese, as well as self-funding private patients. Contact us to learn how to get a referral to our open scanner or to learn more about receiving MRI contrast.